Surgeon Dr. Malcolm Henderson, who provides free medical services in Haiti, while sharing the gospel of Christ Jesus. FBC is planning a joint mission in Haiti with Dr. Henderson in 2019. 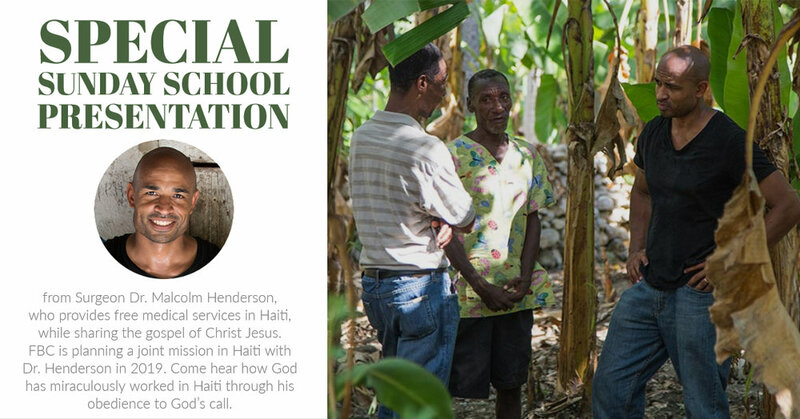 Come hear how God has miraculously worked in Haiti through his obedience to God’s call. A breakfast repast will be served.